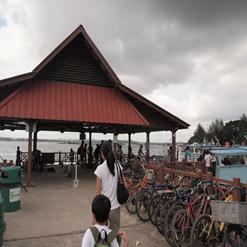 Covering a total area of 71 hectares, the Pasir Ris Park is located in the North-Eastern part of Singapore. Being one of the largest parks in Singapore, it stretches up to 6 kilometers in length. Within the park is located a 6 hectares mangrove forest and there are boardwalks in the forest which help visitors to explore the area. Numerous mangrove trees can be seen in the forest and along with that, another famous activity is bird-watching.